This is my pride and joy, the flagship prosumer SLR first released in 1981. 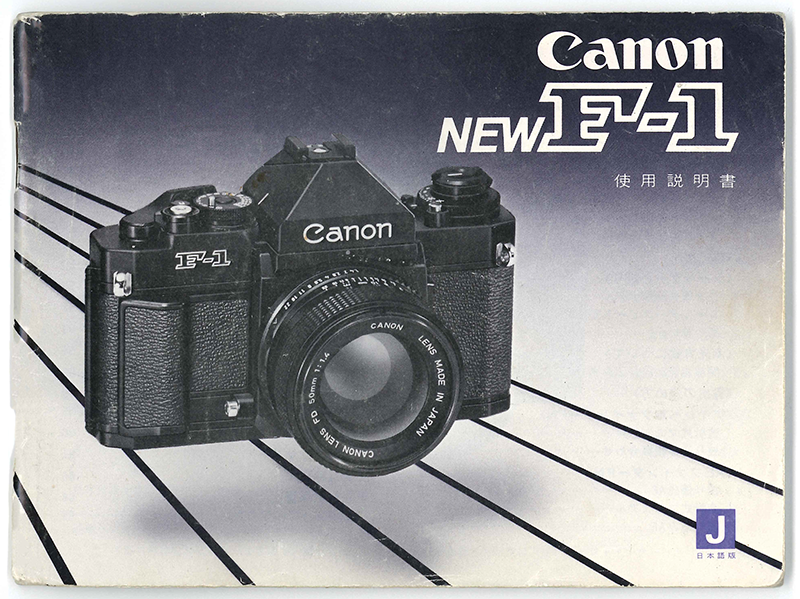 Canon had three cameras in a series with some variation on the "F-1" name: the original F-1, the F-1n, and the New F-1, also called the F-1N. 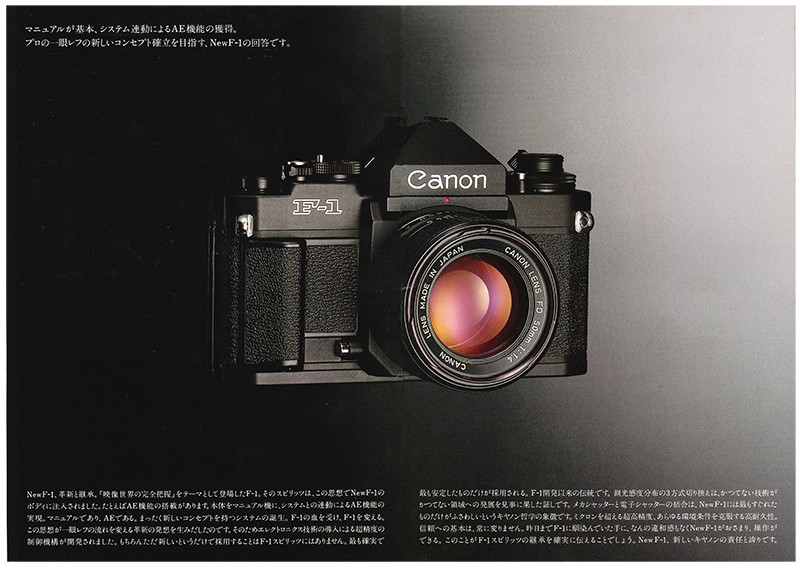 One hypothesis as to why the last version was not called the F-2 was because at the time it came out, Nikon had just released its own F-2 and Canon didn't want to come across as copying the branding. The New F-1 is easy to differentiate, though, because of its matte body. 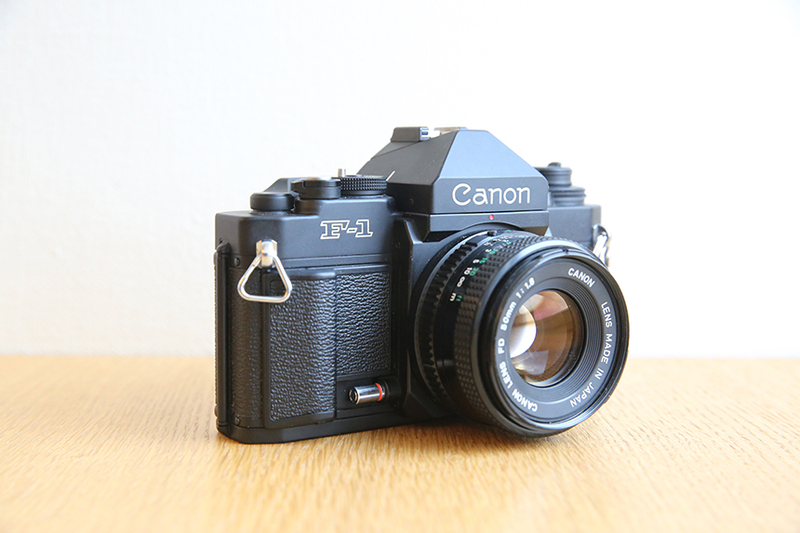 Similarly to the A-1, it's built like a tank and feels very solid. Unlike its earlier versions, though, this one is largely electronically controlled. Another benefit to the New F-1 is that it's built to operate on alkaline 6V 4LR44 batteries as opposed to the now-banned mercury 1.35v PX625-type battery. 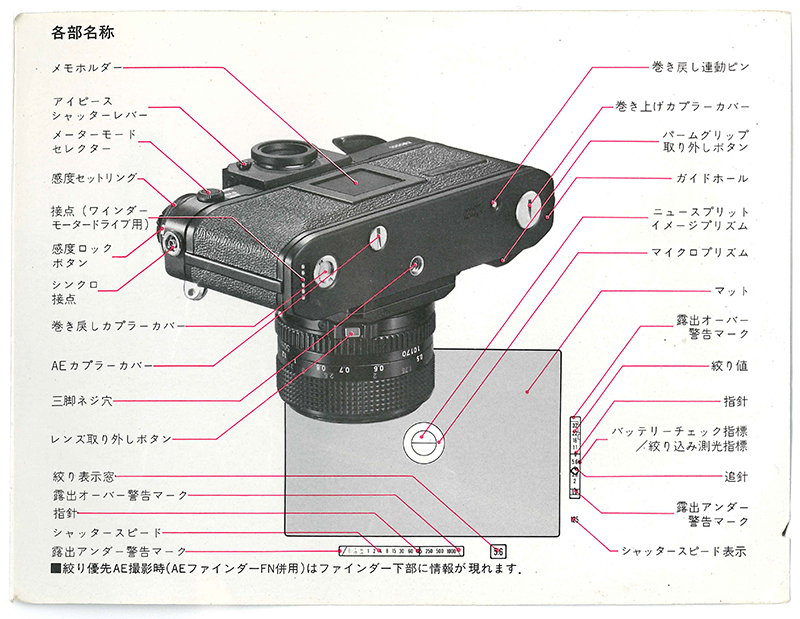 This camera would go on to become the official 35mm camera of the 1984 Los Angeles Olympics. 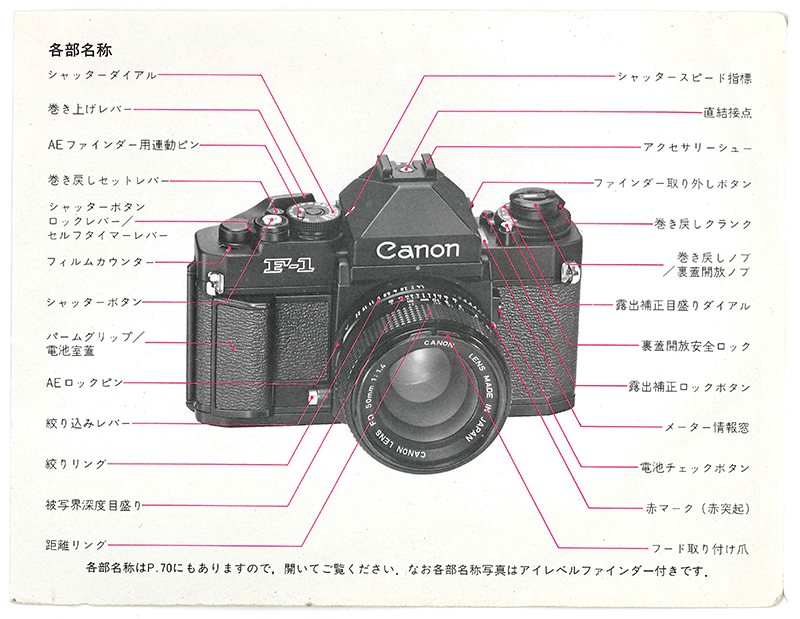 If you sent in a small form that came with the manual, Canon would send you a membership card, as well as a booklet "The New F-1 World", and the privilege to have your name engraved in the back at any service store.